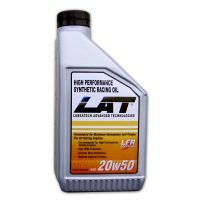 Specifically formulated for today’s sophisticated hi-tech racing engines LAT’s dedicated BREAK-IN OIL addresses issues relating to ring seal failure, extreme stress, and exaggerated wear during initial start up and break in. 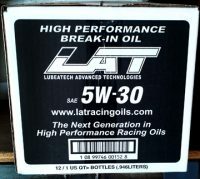 LAT HP BREAK-IN OIL was developed using a unique blend of hydro-cracked base oils and state of the art additive package with high a high shear stable polymer. 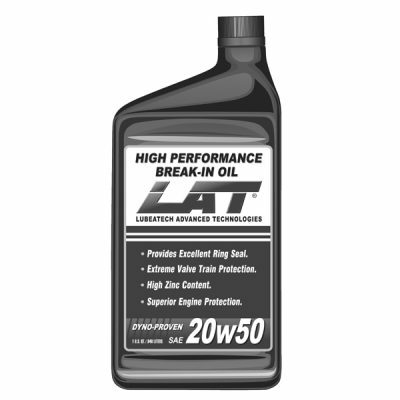 With today’s flat tappet cams and heavy spring pressure the need for high zinc content and additives is critical. 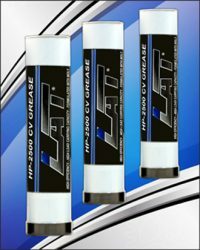 LAT provides all the extreme protection required to insure proper ring seal and protection for moving parts such as lifters, cam, wrist pins, bearings springs, etc., during the all important and highly stressful break in runs. 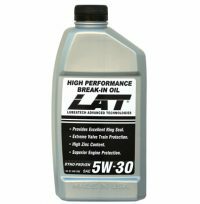 LAT BREAK IN OIL is available in 20w50.